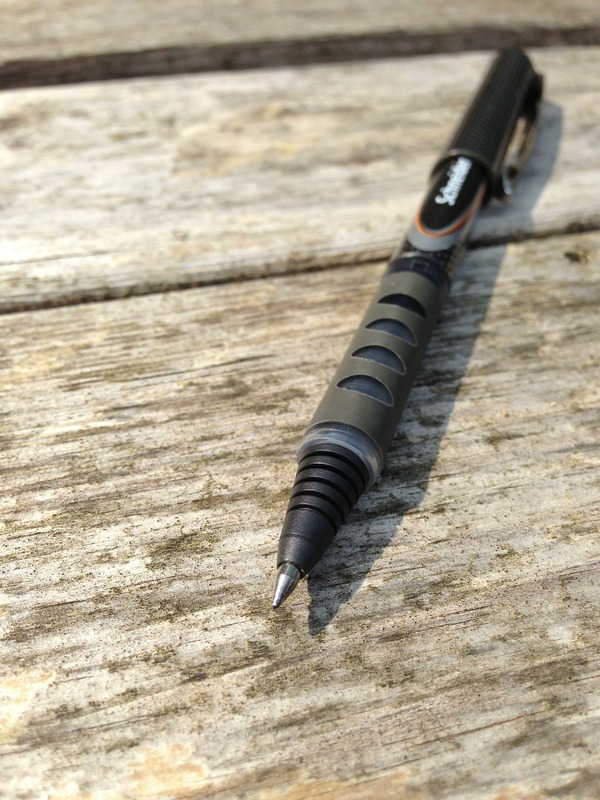 Schneider Xtra Document 0.3 rollerball pen review – Pens! Paper! Pencils! I don’t know why I like this pen as much as I do. It’s a rollerball, which is fine, but it’s not a very black black, which is not fine. More a dark grey than a black. Not black. The pen isn’t much of a looker, either. So why do I keep picking it up? It must be because it is so comfortable to hold and to use. The rubberised grip is comfortable. 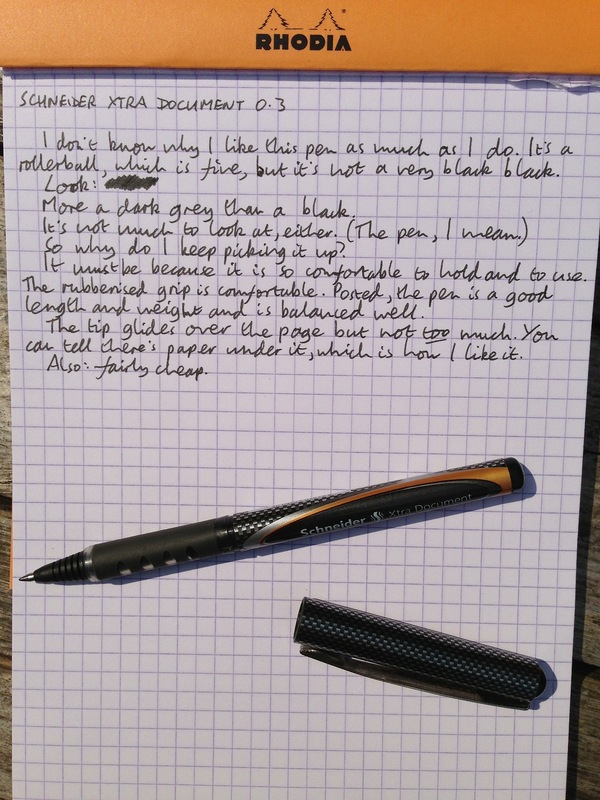 Posted, the Schneider Xtra Document is a good length and weight and is well balanced. The tip glides over the page but not too much. You can tell there’s paper under it, which is how I like it.